Volunteer of the Year 2015 - Evelyn Senior - Peter Zippi Memorial Fund, Inc. When Evelyn Senior retired, she became a very involved volunteer. She took on the job of Grant Coordinator, and helped PZF receive a generous grant from Best Friends Animal Society this year. 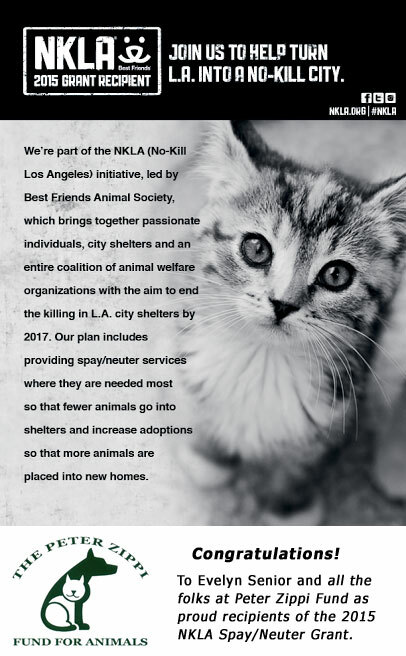 This grant requires us to spay and neuter literally hundreds of cats and kittens in specific zip code-targeted areas of Los Angeles. As you may guess, these are pockets of poverty, where community cats are reproducing at an alarming rate, and represent many of the strays being killed in the shelters. 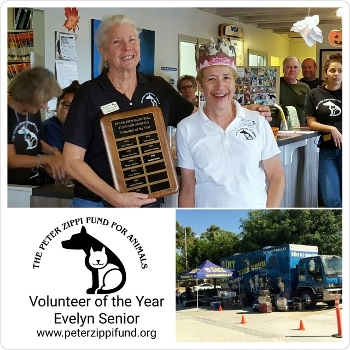 Feeling the burden of responsibility for PZF’s performance, Evelyn enlisted the Lucy Pet Foundation and their mobile spay/neuter clinic to join forces in the endeavor. She has spent hundreds of hours in churches, community centers, at legislators’ community offices, and other areas of high social traffic distributing fliers for monthly spay and neuter clinics nearby. Evelyn has borrowed traps, set them and driven the captured cats to the clinics. She then drives the “fixed” cats back in their traps for release at day’s end. She has called, cajoled, and gotten various “war injuries” in the course of helping folks to get their household pets and yard cats to and from the clinics. In the course of this work, she sees many litters of kittens in backyards. How can she leave them to the plight of being stray or feral for a short life? Not Evelyn, nor her husband, Paul! Into their house come any number of little ones – all given socializing, medical care and vaccinations. 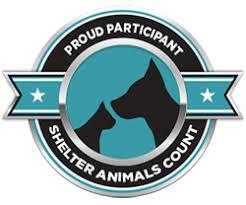 Some are triaged to other PZF foster homes, which take on “finishing school” duty. Many are at Evelyn and Paul’s home until they can come to PZF. Evelyn is responsible for a better quality of life for the cats and also the people who will now be free from the burgeoning cat population in their neighborhoods. Evelyn is a force of nature for the good of all. In 2015, Evelyn orchestrated the spay & neuter of 389 cats in Los Angeles county. We are touched by how much of a difference one person can make.